Homespun Stitchworks..... For the love of vintage: Hello and welcome 2015! 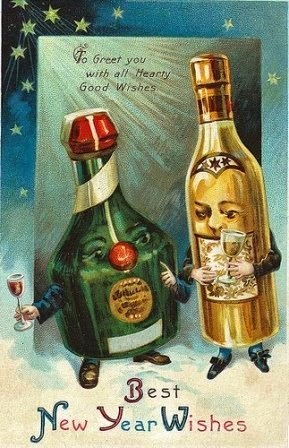 Firstly Happy New Year to you all, may it bring you Health and Happiness and lots of vintage stitchery! I hope you all had a lovely Christmas and enjoyed the madness! I am still clearing up really! My lovely stitching room is back again after being used as a bedroom... The tree is down and the decorations are packed away.... For another 11 months anyway. So for me it is about getting back into the swing of things today. Sharpening the needles and scissors and re-discovering all my precious items. On the week leading up to Christmas I sorted out my new design book and ideas and did quiet a bit of preparation for this year. I am going to sort out my felting bits and bobs this week. Also I am going to duck into the charity shops to see if there are some old woollen unwanted jumpers and blankets for that purpose. After Christmas when people have taken down the decorations and had new things they tend to give away some great things for us vintagers to pick up...one man's rubbish is another's treasure! and all that. Being that it is cold outside I am more than happy in my quest to make pretty vintage goodies and watch the birds in my back garden. They had a Christmas present as well.... a kind of bird jungle gym!!! There is a huge black pole with hooks on for fat balls, a bird bath/drinks, plate with meal worms and platforms and 3 hanging feeders... It took them a couple of days to decide it was safe but now they are away! The squirrel is rather partial to it as well. Also the local cats are seen quicker for them and they are not on the ground..... So it has been placed in the middle of the lawn and whilst I am stitching I can look at their antics!! I will be continuing with the stitch of the week and I am collating some date for your diaries for vintage fairs across the country. The strange thing is, is by June I will be doing Christmas stitching! Oh dear! Anyway it is so lovely to be back and I hope you all return daily again to read my vintage ramblings! Nice to see you again....hope you have a wonderful New Year filled with many blessings. Happy New Year Diane, it is great to be back!